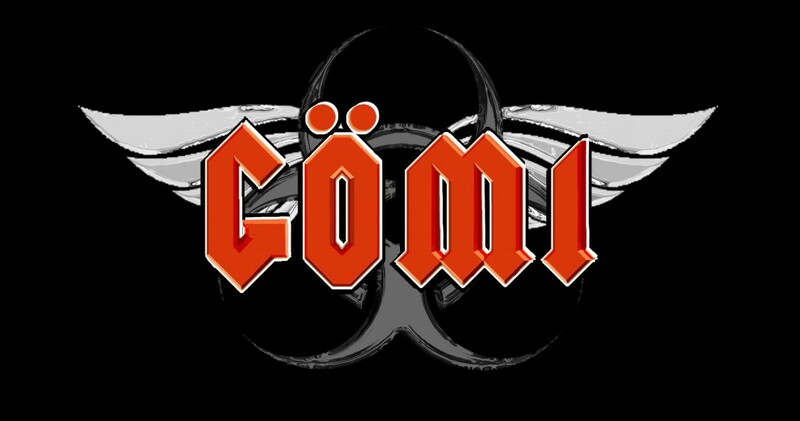 Gomi is a slang word meaning trash or junk. It’s originally a Japanese word for dust or garbage, but it’s now used to describe anything that we discard or no longer value. It was introduced to English speakers by the best selling fiction writer, William Gibson, who is also credited with coining the term “cyberspace” back in the 1980’s. Gibson used the word gomi frequently to describe the near-future dystopia of our material culture gone haywire. This quote describes a possible near future – One not very difficult to imagine. It is a world in which the monumental amounts of trash overtake the landscape to become the soil upon which humans build our lives. Where does the gomi stop and the world begin, he asks. Gibson describes the artist Rubin as working with these discarded things without acknowledging them as his defined palate of materials. He doesn’t refer to them as junk, or found objects. They are simply his medium, the air he breathes, the tides in which he’s always swum. The materials are the common, the base, the unimportant. They were once raw materials, turned useful as technology, discarded as trash, to be rediscovered by the eye of the artist, this time as the building blocks for works of art. In this truly inspired way, the medium is indeed the message. GOMI voids the warranty. GOMI breaks the rules. But GOMI is responsible. GOMI strives to give renewed life and purpose to existing materials and technologies, so it is obviously pro-recycle and pre-cycle, but it is not anti-consumer. GOMI materials were consumer goods – perhaps they’re past their obvious prime, but still useful and viable to the creative eye. GOMI has skepticism for much of the mainstream corporate greenwashing currently in vogue. GOMI doesn’t want to turn back the clock and “return to nature”. Just the opposite, It is a decidedly urban mindset, reflecting a forward-thinking cyberpunk aesthetic. It’s the young trench coat hacker kid, and it’s also the phenom founder of this week’s “it” IPO. GOMI can segue from Burning Man to the boardroom without difficulty. GOMI is DIY. GOMI endorses off-grid living and disaster preparedness. As recent events have shown, one should expect to be self-reliant for an extended period of time regardless of one’s location. A survivalist mentality is just as necessary in the city as way out in the boonies. GOMI is tech-positive and sees the benefits of continued technological development. As more new and interesting technologies become available, the ways to rethink their usefulness also expands. It’s the unexpected secondary uses of a technology that feeds GOMI. Cars, motorcycles and other vehicles, energy production, the evolution of humanity, personal technology and the Internet – All of the things that we can’t live without are embraced by GOMI. I.e. Vehicles can be greener, energy can be off-grid, our bodies and lives can be enhanced, etc … GOMI doesn’t say, “Cars are bad”. GOMI says “you can make your car better”. GOMI is an aesthetic choice – your best defense against mindless mediocrity.